Home / McLaren OnePlus 6T / OnePlus / OnePlus 6T / McLaren OnePlus 6T launching on 11th Dec? On Tuesday, OnePlus announced a new partnership with automaker McLaren. OnePlus is having an event with British supercar maker, McLaren on 11 December and it is expected that the two companies will unveil their first collaboration in the event. From the looks of it, the smartphone brand will be revealing a special edition variant of the current OnePlus 6T flagship, the McLaren OnePlus 6T. The event will be hosted at McLaren Technology Centre in the United Kingdom. According to the automaker, the partnership incorporates both McLaren Automotive and McLaren Racing. Beyond that, the two companies aren’t saying much about what their partnership will involve. However, if past OnePlus partnerships are any indication, we’ll see the company launch a new colour option for its latest smartphone, the OnePlus 6T. That said, the fact the two companies issued a joint press release suggests they’re planning something bigger. There’s little information about the device but this could be a premium version of the OnePlus 6T similar to Huawei’s Porsche Design series and OPPO’s Find X Lamborghini Edition. You can expect a unique colour scheme for the exterior and a prominent McLaren badge at the back of the phone. In the teaser, it emphasises a lot on speed and the OnePlus 6T is one of the best smartphones you can get at the moment. It has a top of the line Snapdragon 845 processor with up to 8GB of RAM. 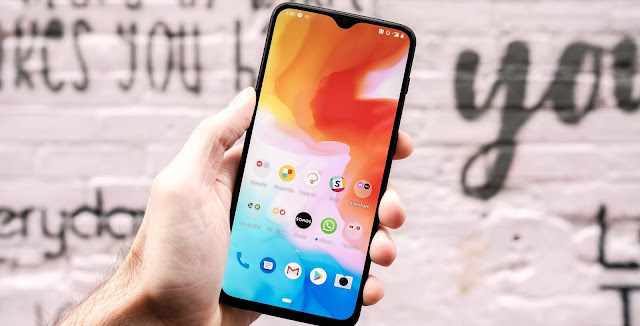 It also comes with a fluid software experience thanks to its stock-like OxygenOS. If OnePlus wants to make this smartphone truly special, there’s a possibility that the McLaren 6T will come with an even faster charger than its existing 5V4A power brick. Perhaps, it could utilise OPPO’s 50W SuperVOOC charging tech that pushes 50W (10V5A) of power. At the moment, the standard OnePlus 6T maxes out at 256GB of storage. To justify a higher price tag, the new special edition device could be offered with an even larger 512GB of internal storage. The OnePlus and McLaren event will be taking place at 4:30AM EST, which is 3PM IST on 11th December.